About two years ago I discovered Vice Golf – and soon realized that this amazing golf brand offers more than just high-quality golf balls with a great design and lifestyle approach to this fascinating game. The brand Vice Golf and its two founders Ingo Duellmann and Rainer Stoeckle add something to the game that in my eyes truly deserves to be called a game changer. Their various cool product specials – like the caps for this year’s four major tournaments – really bring style to the game of golf. But Vice Golf has another fantastic USP – the option of customizing golf balls starting from as few as 12 balls is unprecedented. Vice Golf and I decided to use that for a collaboration. We sat down for a very creative meeting in which we developed the special goodsundays.com Golf Ball Collection by Vice Golf – limited to 199 dozens. 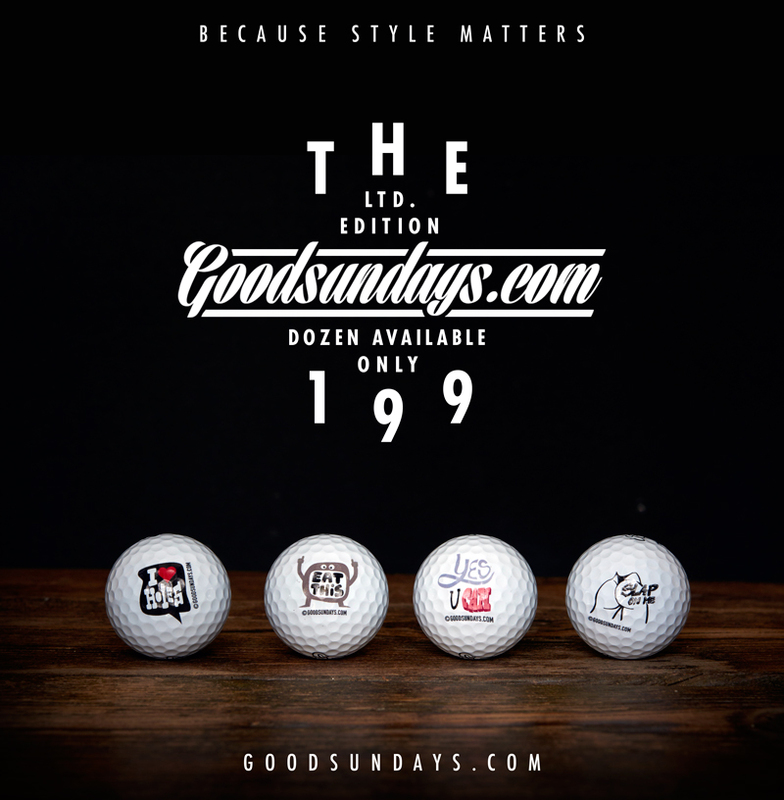 Each dozen consists of four sets of three balls, adorned by four different exclusive goodsundays.com icons. The idea of the icons is to add more fun to the game and to not only make your golf balls look cooler, but also to make sure that they inspire and motivate you. This is my approach to the game of golf – have fun on the course and bring some piece of professional but tongue-in-cheek design to it.